Welcome to La Jolla Real Estate. La Jolla is considered the crown jewel of ocean front beach towns in San Diego county with a wide variety of upscale neighborhoods and homes. 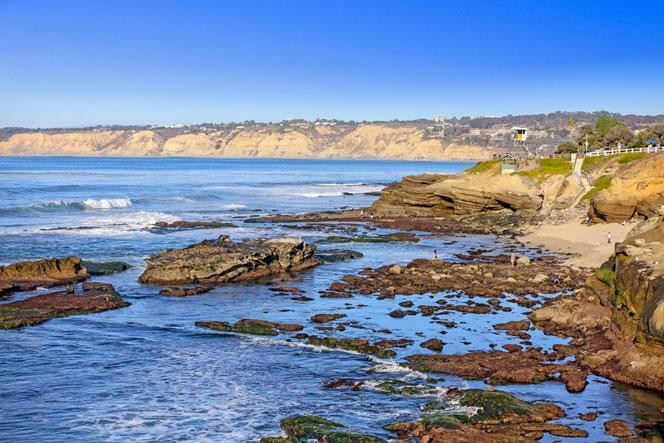 Real Estate in La Jolla tends of be on the upper end as far as price is concerned with top rated beaches and schools. Our goal is to guide you through the various neighborhoods and help you quickly learn price ranges, amenities and neighborhood information that will help you make a better decision when buying a home in La Jolla. When looking for the best deal don't always look for distressed properties. Sure, short sale and foreclosure listings can provide excellent opportunities to buy a home that has the potential for equity growth but there are many in the local real estate market that are buying homes at reduced prices and then turing them around and flipping them for a profit. This happens all the time when you have a very motivated seller due to divorce or having to move out of state. These are typically the best deals on the market and have a knowledgable local real estate agent is the key to your success. We also provide updates on all the new listings found in La Jolla and are featured here. These are brand new listings In La Jolla that have only been on the market for less than 7 days. If you are serious about buying a home in La Jolla and looking for the right property, paying attention to what is new to come on the market is the key. Well priced properties tend to sell very quickly here so act accordingly when the perfect home comes on the market for sale. We are excited with your journey into the real estate market here. Our goal is to be the most comprehensive real estate platform for the beach community of La Jolla. For additional information on the La Jolla Real Estate market please contact any of our La Jolla Real Estate agents today at 858-200-7562 for detailed information on any La Jolla homes and condos for sale. Listing information last updated on April 21st, 2019 at 3:31am CDT.